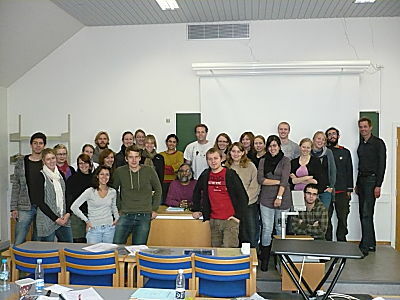 The last class of Biogerontology-2009 – students from Denmark, England, Estonia, Italy, Lithuania, NewZealand, Portugal, Spain, and Turkey. 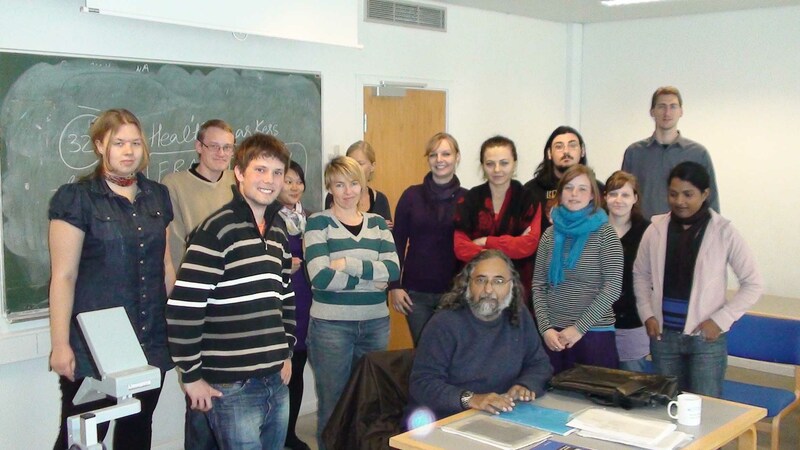 Biogerontology course was given annually by me since 1995, and over the years it had evolved into an internationally unique course introducing the fascinating subject of ageing to young students – many of whom then followed it up by taking their MSc and PhD research projects on ageing. However, from 2010, due to certain restructuring of courses at the department, this course was dropped from the list; and so I hope that this topic may be incorporated in some other form in some other courses in the future. · Explain the evolutionary theories of ageing, and why can not we live for ever. · Discuss various types of molecular damages, their causes, and their consequences. · Describe the concept of homeodynamic space, and how cells and organisms defend themselves against various damaging agents, such as UV light, free radicals, glucose etc. · Develop a biosystem-based network of molecular heterogeneity. · Assess the concepts of healthy ageing versus anti-ageing. · Distinguish between ageing as a disease and as a process leading to age-related diseases. · Choose among various types of ageing interventions. · Discuss ethical problems associated with anti-ageing and eternal youth. · Plan new themes and experimental approaches for future research in biogerontology.